A legendary figure in hunter/jumpers and equitation, George Morris has represented the United States in international equestrian competitions as both a rider and coach for over six decades. As a rider, his show jumping team won the gold medal in the Pan American Games in 1959, and he won a team silver medal at the 1960 Rome Olympics. As a coach, he led the United States show jump teams to individual and team Silver medals at the 2006 FEI World Equestrian Games. In 2008, he coached the team that won the Team Gold Medal at the Olympic Games in Hong Kong as well as the team member who won the Individual Bronze Metal. 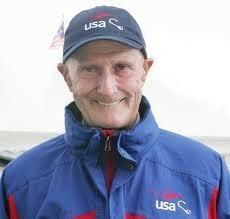 George received the USEF Lifetime Achievement Award in 2006. Based on the success of the inaugural George Morris Clinic at Beverly in 2012, George Morris has indicated that he will be teaching exclusively at Beverly Equestrian for his Virginia clinics and clients going forward. His next clinic is scheduled for September 12-14, 2013. Wofford, a three-time medal-winning Olympian in the sport of Eventing, has spent his life with horses, and is one of the best-known Eventing trainers in the world today. A member of both the USEA and the Culver Military Academy Hall's of Fame, Wofford is a guest instructor at Beverly. He was named USOC Developmental Coach of the Year in both 1998 and 1999. He recently served as the coach for the Canadian Team for the 2002 World Championships, for the Silver Medal Team at the 2003 Pan American Championships, and the 2004 Olympics in Athens. Wofford is equally well known as an author. His most widely known books, TRAINING THE 3-DAY EVENT HORSE AND RIDER, and GYMNASTICS: SYSTEMATIC TRAINING OF THE JUMPING HORSE are staples in any horseman’s library. He has served as president of the AHSA (now USA-Equestrian), 1st vice-president of the United States Equestrian Team, and Secretary of the USCTA( now USEA). He served two terms as a member of the FEI Eventing Committee, including 2 years as Vice Chairman. Jim received the USEF Lifetime Achievement Award in 2011. 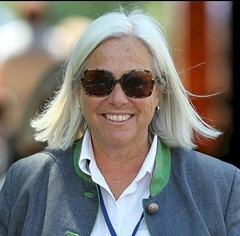 Linda is currently one of the most highly-respected dressage judges in the world. She was promoted to FEI “O” status in 1995 and has judged the world’s most prestigious competitions. As an accomplished international rider, Linda was a member of the U.S. team at the 1980 alternate Olympics. This year, Linda was the coach dressage for the American eventing team for the London Games and continues to be involved with both the sports of dressage and eventing. Linda received the USEF Lifetime Achievement Award in 2013. She is a widely sought after coach and teacher, whose laid-back style yet effective style resonates with riders, at both the beginner and advanced levels. 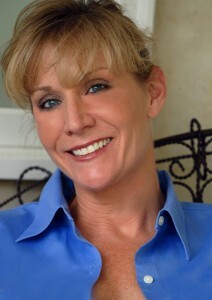 Linda teaches at Beverly on select dates. David O’Connor needs no introduction as he is a legend in the sport of eventing. David brought home the first eventing Gold Medal for the United States in more than a quarter of a century, when he clinched the individual eventing championship on Custom Made at the 2000 Olympic Games in Sydney with the best score in Olympic history. Alongside Karen, he and Giltedge helped the USET capture the Team Bronze Medal in Sydney, and the Team Silver in Atlanta. David also earned two Pan American Games Medals, and two World Championships. 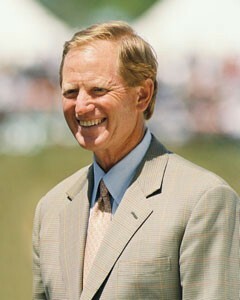 As USEF President, David was awarded the 2003 Wofford Cup and the 2007 Equine Industry Vision Award. David has been involved with the development of Beverly Equestrian since it was just an empty parcel of land in the Plains. His experience and insight shaped the entire layout of the facility, including the placement of the outdoor riding areas, gallop track and cross-country schooling course. Working closely with the owners and course builder, David designed a beautiful, multi-function bank and water complex, ditch and coffin complex and roller/hump jump. David continues to be involved in course design and evolution of the jump field. Greg Schlappi is a longtime friend of the owners and has been building cross country courses for many years. His work is distinctive for its meticulous attention to design and safety. He has worked on many courses through the years including Rubicon (Lucketts, VA); Herron Park (Kallispell, MT), Poplar Place, and Foxhall (GA). During that time, he's worked with some of the most prestigious course designers in the world, including Captain Mark Phillips, David O’Connor, Derek de Grazia, and Tremaine Cooper. Gretchen heads up CEI, a design-build construction firm that is widely recognized as being innovative, honest and quality-driven. CEI provides a one-stop, design-build experience that includes land acquisition, financing, construction, finishings and landscape design. CEI guides clients through the entire building process – from choosing the land, to designing the home, to making finishing selections, to putting the final touches on the landscaping.